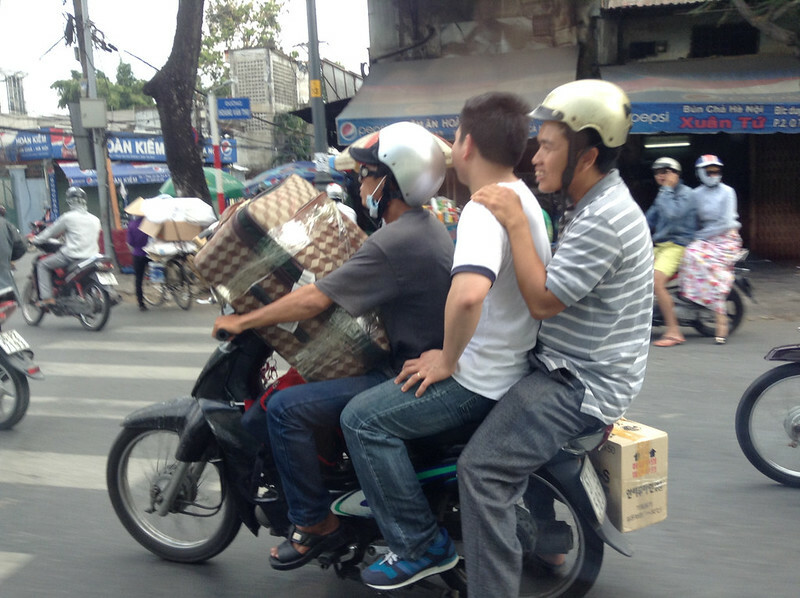 The average Vietnamese moped can carry you, two of your friends, a case of soju AND your worldly possessions. 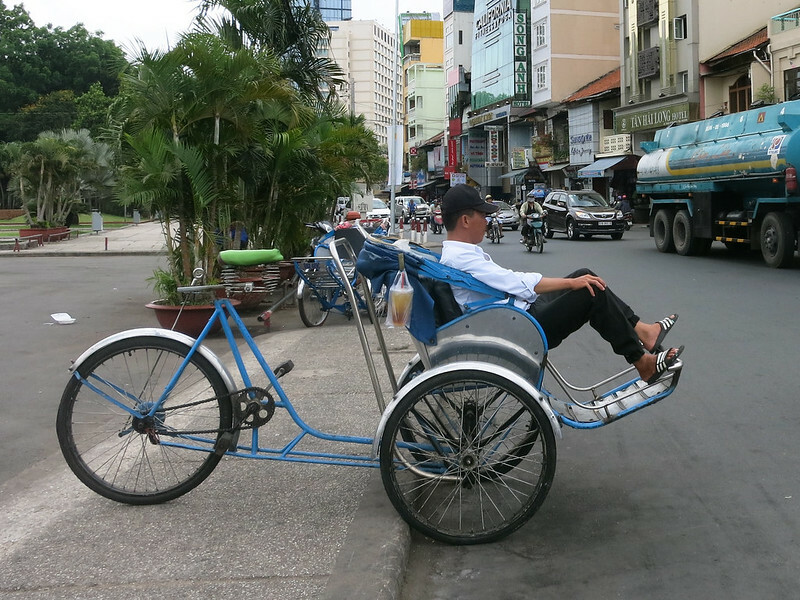 “Keep Calm and Carry On” is a good motto to live by in Saigon. When crossing the street here, a safe crossing is determined by how calm and collected you are as you make the walk of potential death. Crossing signs are scarce, so it’s up to you to dodge oncoming traffic to make your way through town. The trick is to not think too much about it. “It”, as in your body colliding with a car, bus, or more realistically, a moped (none of which will slow for you) and being crushed under the dozens of mopeds following closely behind the one that snagged you. 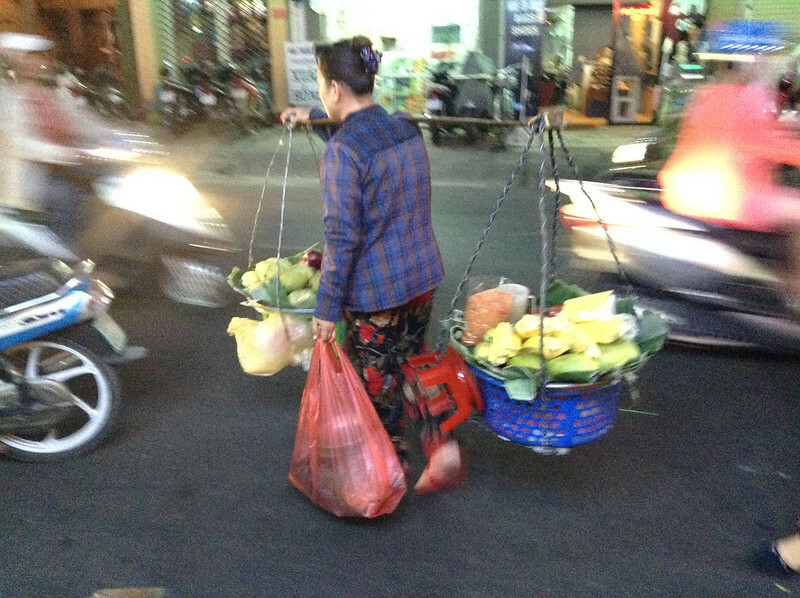 A fruit lady about to get turned into a fruit shake via moped. On a particularly busy street, we hesitated and watched as an ancient old lady casually tai chi-ed* her way across the street. While our version wasn’t nearly as graceful as we jerkily zombied across, we did it. Multiple times. In humid, 97 degree heat, with the sun beating down on us. I’m kind of proud of us. This particular road had pedestrian crossing signals but they were rare. 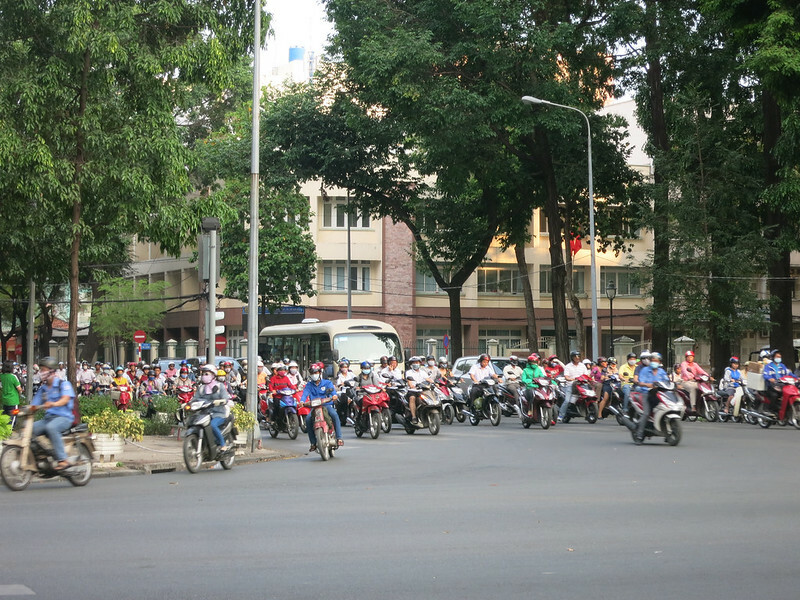 A blogger had mentioned that walking through Saigon is a stressful rather than a pleasant experience after the first hour of it being somewhat thrilling, and unfortunately, it’s true. 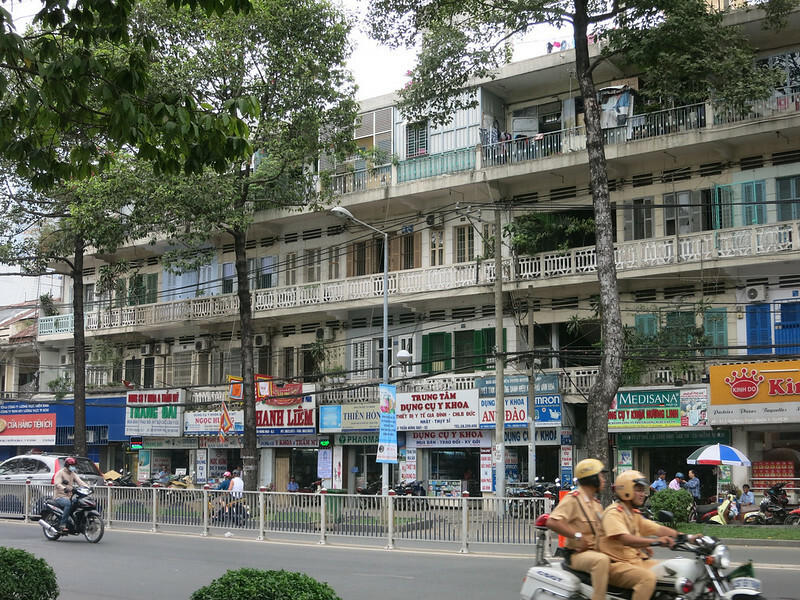 The sidewalks are almost always blocked off by mopeds parked in a jumble in front of storefronts, forcing pedestrians to hug the curb and walk in the street. 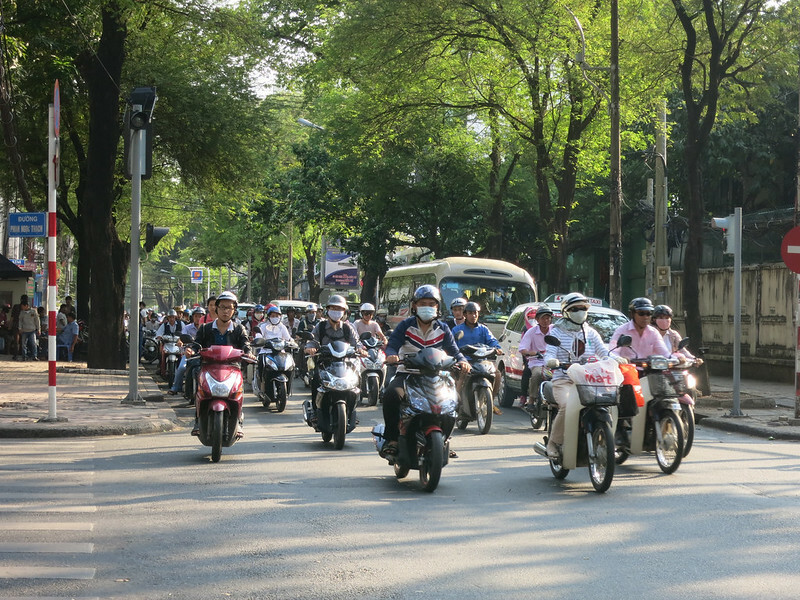 And right when you think you’ve made it safely across to the other side, a moped driver will gun it down the sidewalk at you. No, not even the sidewalks are safe. Who cares if I’m halfway in the street? 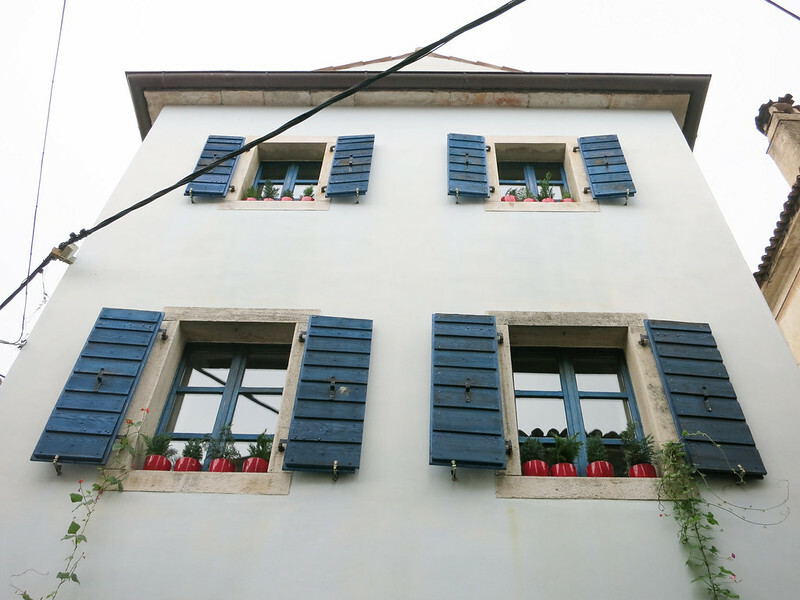 Pretty blue shutters on a house in Groznjan. 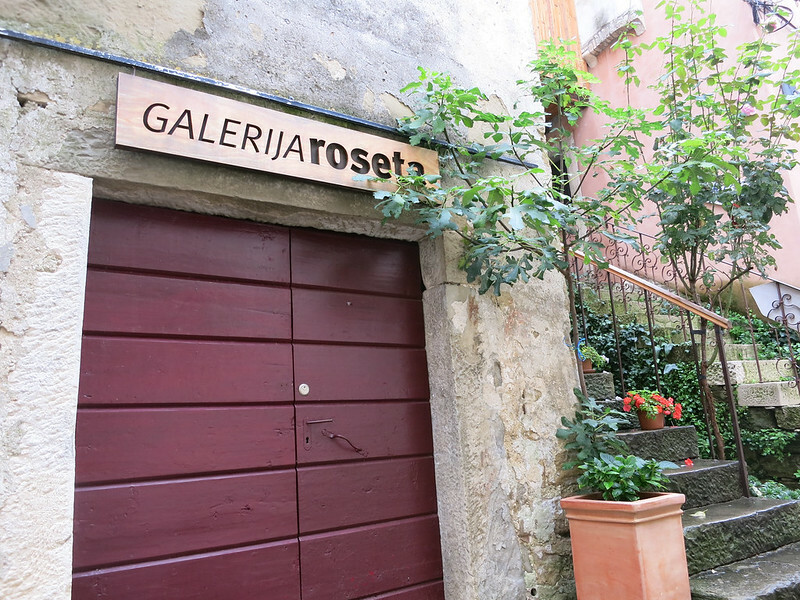 It’s not hard to find a beautiful place on the Istrian coast of Croatia. 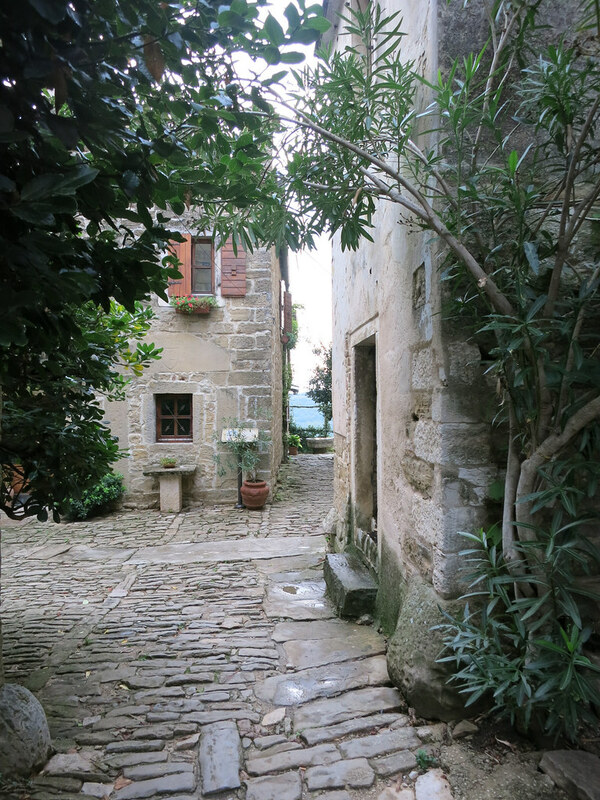 We knew we were going to be spending more time on the coast in the coming weeks, so we found a small, secluded hilltown of Groznjan as our first stop. 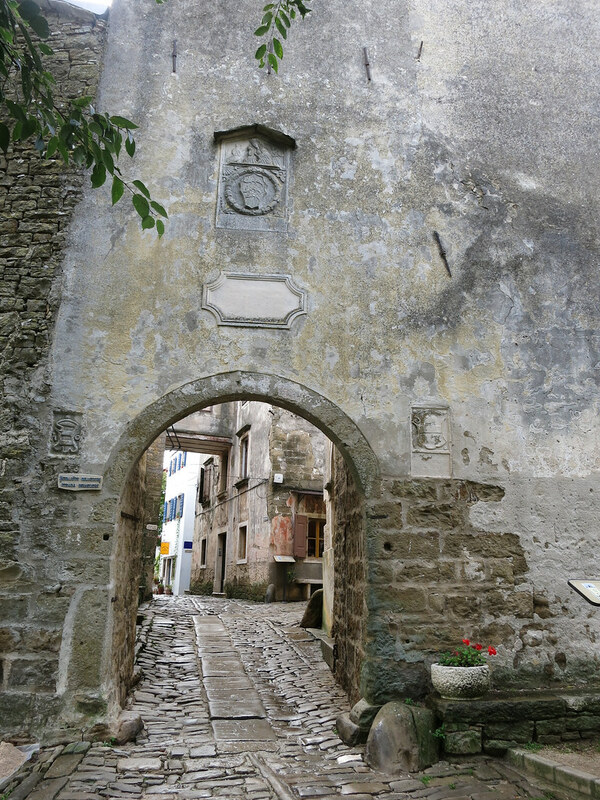 An old archway leading into town. We took a bus to a tiny town called Buje on a cold and rainy afternoon and paid an idle old man we found in a café to drive us the rest of the way (about 8.5km on an uphill). Perched atop a hill overlooking farms and smaller villages below, Groznjan is a cluster of the cutest stone houses with a population of less than 100. When the town’s population dwindled and was on the verge of becoming a ghost town, a colony of artists moved in and made it their home and workplace. 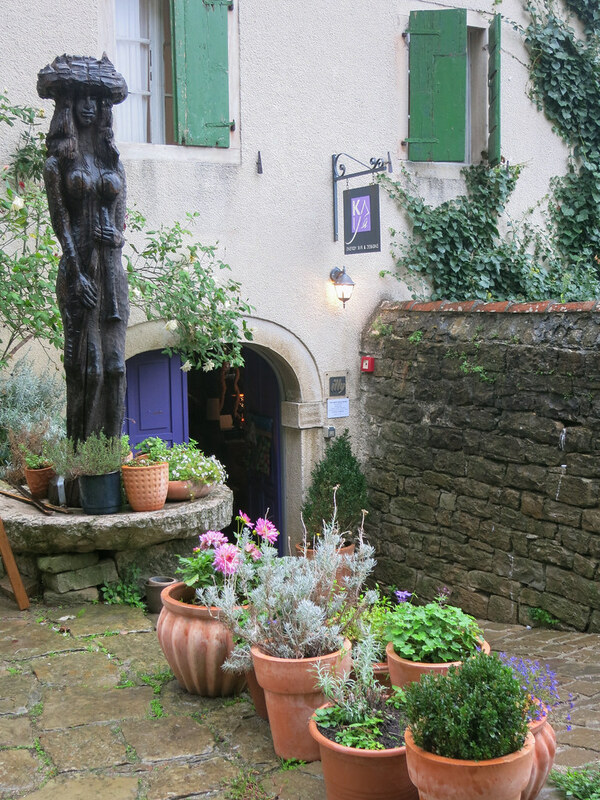 You can see the artists’ influence on the town in the brightly painted shutters, the beautiful plants decorating the houses and the ateliers dotting the place. Kaya Energy Bar, a nice place for afternoon tea.